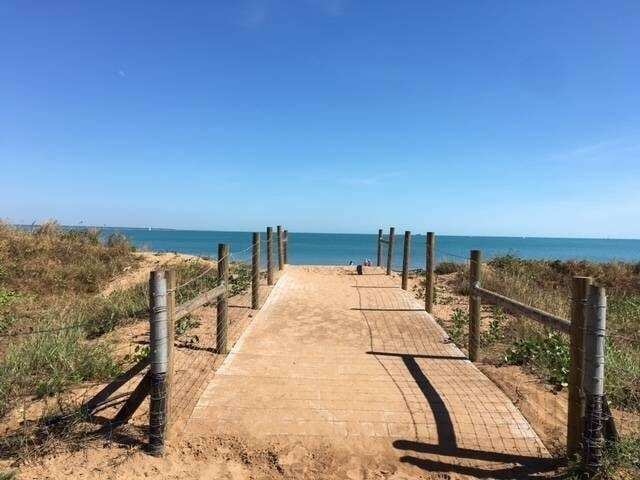 Darwin's smattering of seaside walkways and protected bike paths is too often overlooked. 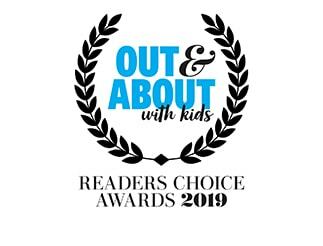 Exploring the Top End capital by escaping the hubbub of the CBD, hitting the waterfront and getting active as a family. We picked our top three routes for walking or riding around Darwin. 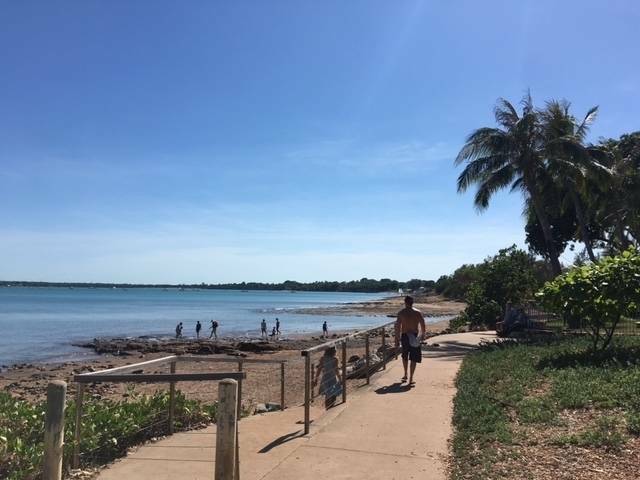 These paths have public toilets and water fountains at intervals, but remember to bring your own water to keep hydrated in the Darwin heat. 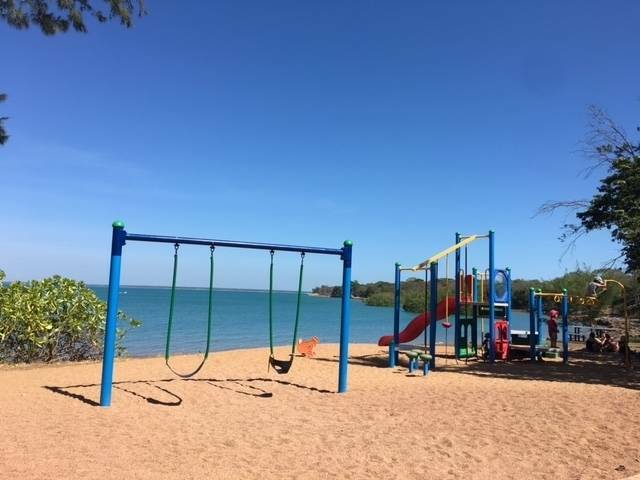 The Esplanade runs along the south-western edge of Darwin CBD and is an ideal place for a stroll. All along the length of the roughly 1.6km paved walkway, are benches, large areas shaded by trees, memorials, information signs, and beautiful look-out points for the kids to enjoy. Along the walk you will also find one of the largest children’s play structures in the city. Take a break to play there, or anywhere off the path, as it snakes through many grassy lawns and shaded areas. 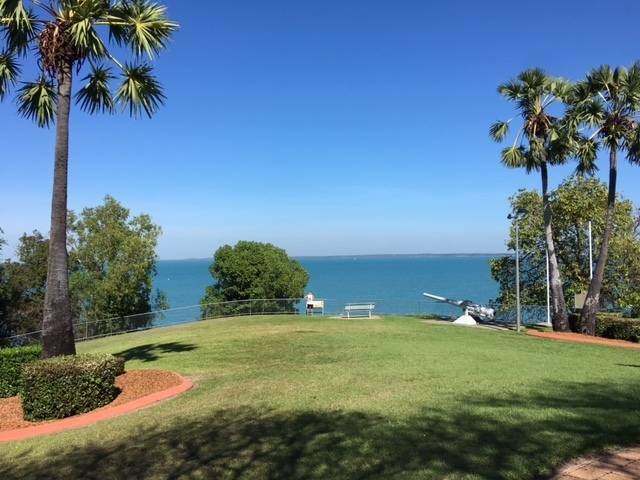 You will also be able to stop, look, and learn about different points of interest in Darwin Harbour including the nearby Navy Base. Mindil Beach is the proud home of the beloved dry-season sunset markets. Unsurprisingly, given the picturesque location, Mindil Beach is also an incredible place to walk, ride and spend the afternoon no matter the age of your children. Start at the Sky City Casino on the west end of the beach and walk along the sand or bike along the path toward the eastern end. Keep going along the paved path when you reach the end of the beach. Let it guide you up a hill to the amazing look-out point where, to the left, you can see the whole expanse of the beach, and to the right, the beginning of Fannie Bay. Getting hungry from the exercise and salty fresh air? You will by now be coming up to the NT Museum cafe, the Darwin Ski Club, and eventually the Darwin Sailing and Trailer Boat clubs. Grab a bite with a view before continuing along. After you pass the Darwin Sailing Club (about 2-3kms from the beginning of Mindil Beach) you will approach another slight hill. If the crew manages to get to the top of this one, you all will arrive on a protected biking and walking path. If followed to the end, the path will deliver you to the WWII bunkers and museum on East Point Reserve. Don’t worry too much about directions from this point onwards, there are many helpful signs to guide you the right way. Before you reach East Point Reserve, be sure to stop at Lake Alexander. 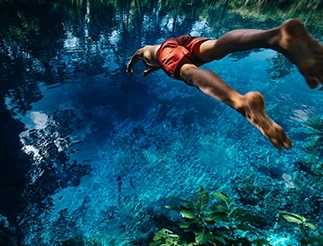 When open, the protected lagoon is perfect for swimming, playing along the shore or even having a BBQ at one of the many public pits. To walk or ride the route from Mindil Beach to East Point Reserve is doable in one day, but keep in mind you can break-up the walk at any point and do new segments each day. Outside of the city in the northern suburbs area, is the magical little town of Nightcliff. 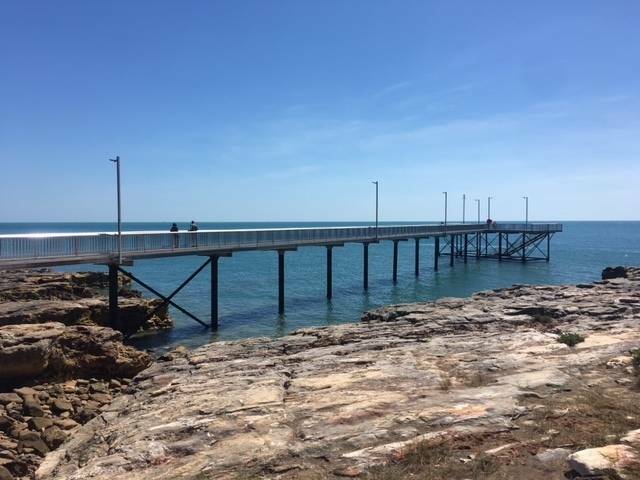 When you are not already visiting the kid-friendly Sunday Nightcliff morning market or at one of the local favourite cafes, take a stroll along the water and beach fronts. 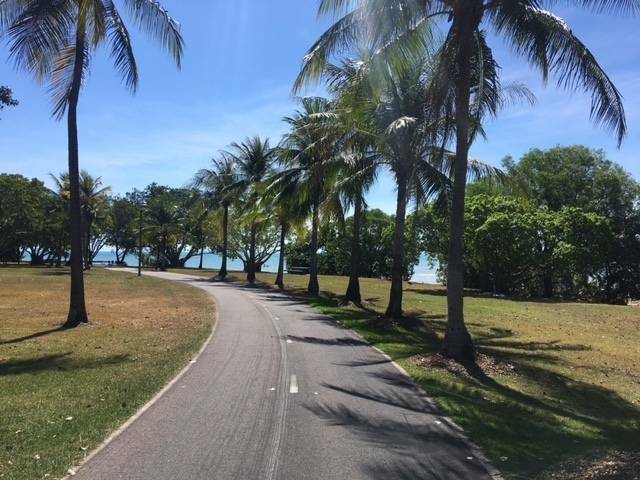 Another protected bike and walking path will take you along about 3kms of spectacular water views, past the Nightcliff pier, the popular Foreshore cafe and Nightcliff public pool, and eventually all the way to the empty and beautiful beaches of the Casuarina Coastal Reserve. All along the path in Nightcliff are interesting trees and shaded areas to play and explore. Now if you are staying in Darwin CBD, consider using the DarwinBus to get over to the walking paths. A $3 ticket allows passengers access to all busses for 3 hours.